Last week, NAHC President Val J. Halamandaris sent a letter to the Centers for Medicare and Medicaid Services (CMS) Administrator Marilyn Tavenner. This letter urged a phased-in approach to the new home health care face-to-face documentation requirements scheduled to take effect on January 1, 2015. The letter highlights CMS’ past willingness to phase-in new requirements for home care providers, as well as reiterating the challenges that both home health agencies and physicians will face if the new requirements are not phased-in. NAHC's affiliate, the Forum of State Associations, sent a letter to the CMS Administrator on December 12, 2014 also urging a phased-in approach to the new face-to-face documentation requirements. With the January 1, 2015 effective date fast-approaching, NAHC will provide updates on any developments on the face-to-face issue through future issues of NAHC Report. 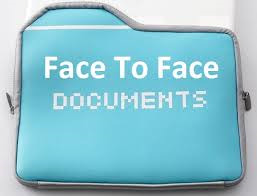 Given the challenges the January 1 effective date will pose for the new face-to-face documentation requirements and other regulatory requirements in effect January 1, 2014, how beneficial would a phased-in approach be for your organization?